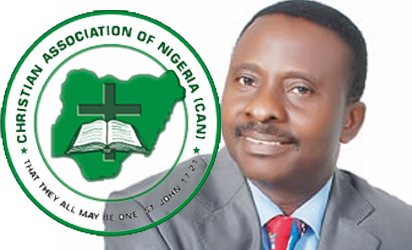 The Christian Association of Nigeria (CAN), Benue chapter, has commended the Benue Government for successfully implementing the Anti-Open Grazing Law. The News Agency of Nigeria (NAN) reports that Gov. Samuel Ortom signed the Anti-Open Grazing Bill into the law in May while its implementation began Nov.1. Rev. Akpen Leva, the chairman of the association in the state made the commendation in an interview with NAN on Wednesday in Makurdi,. Leva said, “so far, the state government has demonstrated the political will to implement the law”. He said the implementation of the law showed that the state government was committed to ending the incessant conflicts between herders and farmers across the state. Leva recalled that the Anti-Open Grazing Bill was originally initiated by CAN but later developed by the government. He said it was impossible to have one grazing in the state without having acrimonious relationship with herders, adding that the best way to go was to ranch. On the church, he advocated increase in the number of churches in the country to check ungodliness. “People complain about the proliferation of churches without complaining of the increase in beer parlours and criminality in the society. ‘’If beer parlours can increase in numbers, why not churches,’’ he said. The chairman said CAN had a mechanism for monitoring its members to ensure their conduct conforms to acceptable norms.